LHF Law is a network of specialized attorneys in Mexico and in the U.S. LHF Law was founded in 2009 in San Diego, California by Lizbeth H. Flores. Ms. Flores is an attorney specialized in business law, with more than ten years of experience in the international area. 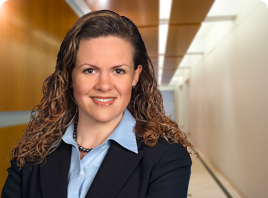 Before starting LHF Law, Ms. Flores served as in-house legal counsel for C3D, Inc., a publicly traded high-tech company headquartered in New York City, where she worked on securities’, corporate, and investment matters. Subsequently, she joined Luce, Forward, Hamilton & Scripps LLP (now Dentons) in San Diego, where she represented U.S. entities investing in Latin America, primarily Mexico, and Mexican companies entering the U.S. market. Ms. Flores has established a network of specialized attorneys and consultants in Mexico and in the U.S. with whom she works to assist her clients in an efficient and cost-effective manner. She studied law at Tecnológico de Monterrey (ITESM), in Monterrey, Mexico, where she graduated with honors, and a Master of Laws at U.C. Berkeley, where she received high honors. She is admitted to practice law in California, New York, and Mexico. Ms. Flores currently serves as Co-Vice Chair of the International Law Section of the State Bar of California. She is a Fellow of the American Bar Foundation and is a registered mediator with the San Diego Superior Court Civil Mediation Program. Ms. Flores is also a volunteer mediator at the National Conflict Resolution Center (NCRC).